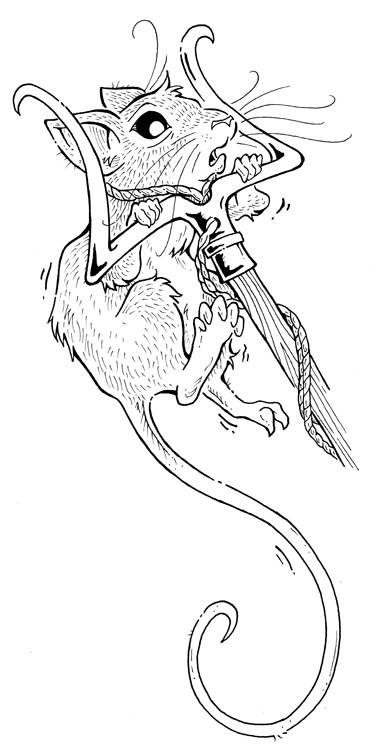 Here’s an illustration I finished this week of everyone’s favourite Een mouse, Oki, ensnared by a bounty hunter who goes by the name of Irko Vex. This bounty hunter will play an interesting role in Kendra Kandlestar and the Search for Arazeen. He specializes in hunting and capturing Eens, and has many tools to help him in this task. Poor Oki—he’s not really the one Irko is after . . . but he just happens to get in the way. Here’s the latest illustration I’ve completed for Kendra Kandlestar and the Search for Arazeen. 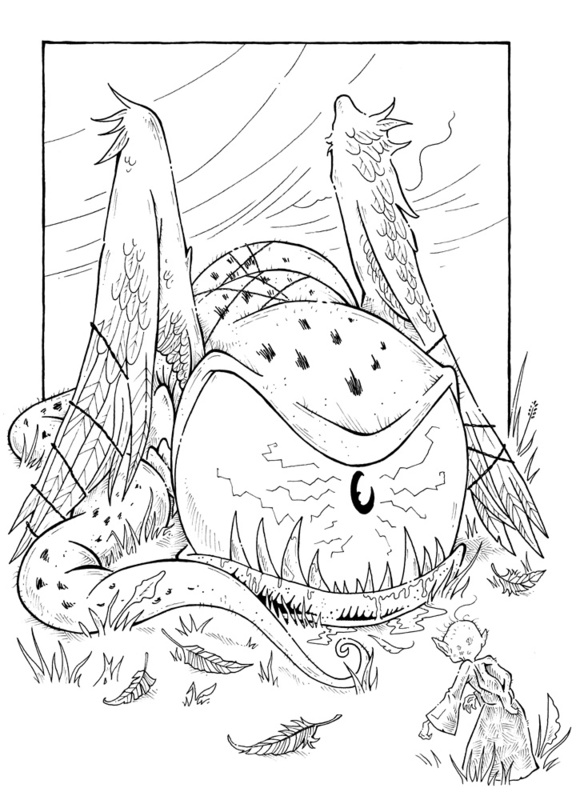 It depicts a scene of Agent Lurk encountering a giant worm-like skarm that has been captured in a hunter’s snare. It’s a crucial moment in the plot . . . and leads to significant events that will have a grave impact on Kendra—not to mention all of Een. I’m really excited to announce that Creative Writing for Children (CWC), the company I co-founded in 2004, is joining forces with the Canadian Embassy in Korea to participate in the upcoming Seoul International Book Fair, which will take place from June 19-23. I’m particularly pleased for my students, as many of their books will be displayed at our booth there. For some of my students who actually live in Korea, there will be an extra thrill; they will actually attend the fair to present and launch the books they have worked so hard to write and publish. They will be under the wise and watchful guidance of the other co-found of CWC, Joon Hyung Park. He will guide the students in their presentations will deliver his own seminar about the importance of weaving creativity into writing. 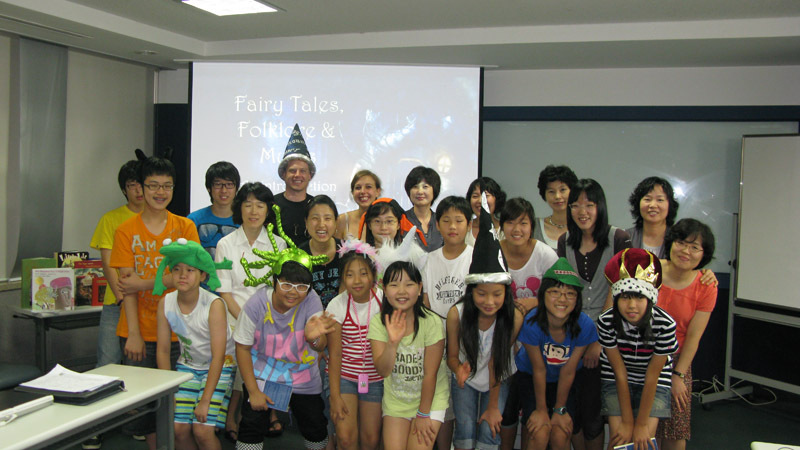 I’ve been to Korea on twelve different occasions to teach creative writing camps. We’ve covered all sorts of themes, including pirates, safaris, fairy tales (see the photo below, from 2008), fantasy and magic, circuses, spies, and space— so our participation in the Seoul International Book Fair represents a sort of culmination of many years of work. You can check out our page on the official book fair site in both Korean and English. I won’t be at the fair personally (I’m not heading over to Korea until July), but I’ll make sure the share any photos that come my way. I received more questions this week through the Een-mail bag! These ones are all related to the fifth and upcoming book, Kendra Kandlestar and the Search for Arazeen. 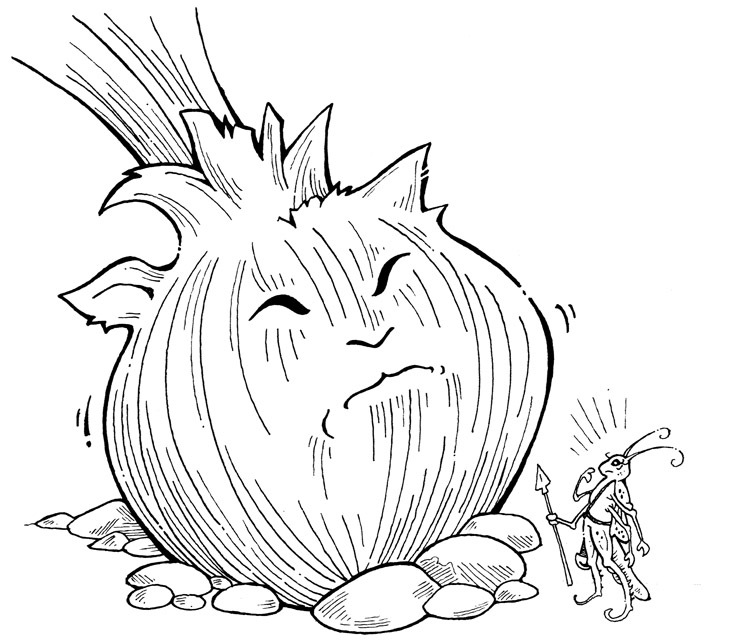 Q: What does Oki try not to think about (in Book 5)? For Book Five? Well, it isn’t one hundred percent decided yet. But I’m leaning towards rhubarb . . . . (either that or beans). Q: What form does Pugglemud come in? This addresses another ongoing element of the Kendra Kandlestar series. Pugglemud started off as a minor character, but, like a pesky weed, keeps wriggling his way back into each plot. So far he’s been a treasure hunter, a king, a pirate, and a ringmaster. I don’t want to quite say what Pugglemud’s job will be in this book, but I’ll just tell you that it will be his most sinister role yet. Q: Is the cover going to be brown or yellow? Neither! I haven’t decided entirely yet, but it will probably be an orangeish-gold. Or black . . .
Q:Can you give me a sneek peek on the book or send me a. Picture of what the cover looks like? I haven’t done any artwork or design for the cover yet. However, there will be important news about the covers in the ENTIRE series coming soon! 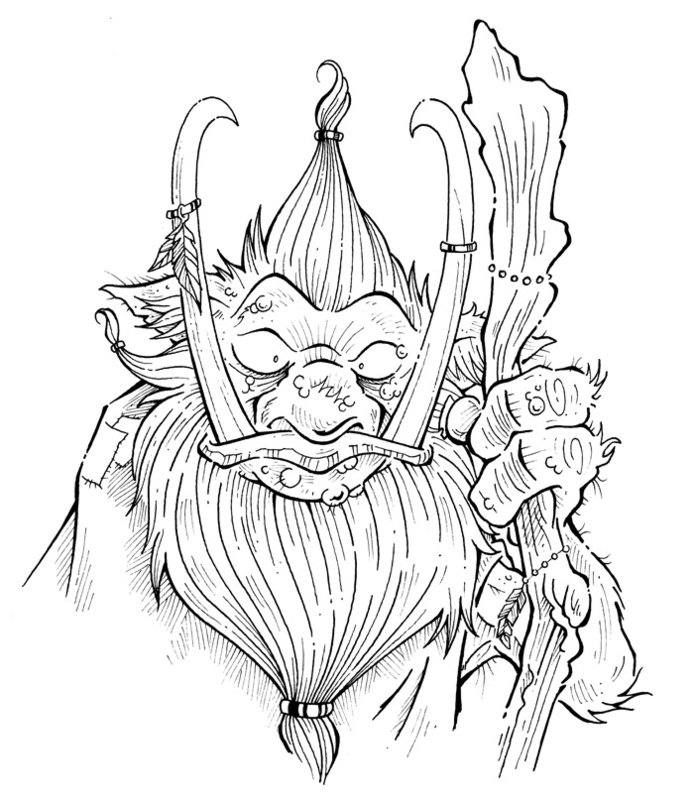 I just finished an illustration of Oroook, that Unger Wizard who first appeared in Kendra Kandlestar and the Door to Unger. Even though Oroook was only in the book for a few scant moments, he set off quite a chain of events in Kendra’s life—and so far, we’ve never had any insight into his motivation. That will change in the final Kendra book, The Search for Arazeen. I’ve always had a soft spot for Oroook, especially since he is one of the few characters who I’ve killed off (see my post on that subject). So, sadly, we won’t actually get to meet Oroook directly again, but in this final Kendra book readers will come to learn more about his history and how he came to meet Kendra’s mother, the infamous sorceress Kayla Kandlestar. Here’s a new illustration I worked on this week for Kendra Kandlestar and the Search for Arazeen. It’s the last book in the series, and yet it’s the first time I’ve drawn a picture of Kendra and her whole family together in one scene. Of course, this has largely been due to the fact that they’ve never been together at any moment in the plot. 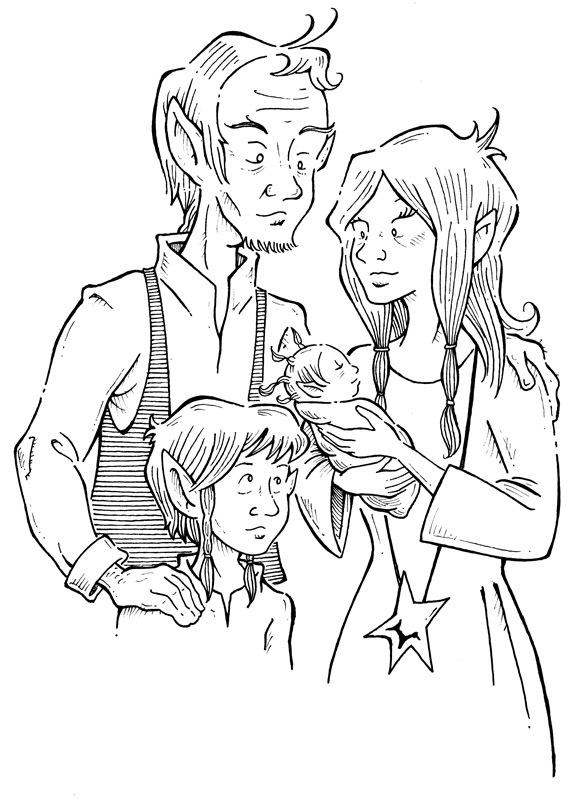 But I decided that this illustration could serve a flashback scene that shows the Kandlestars in a happier time, when Kendra was just a baby (her braids have a way to grow). 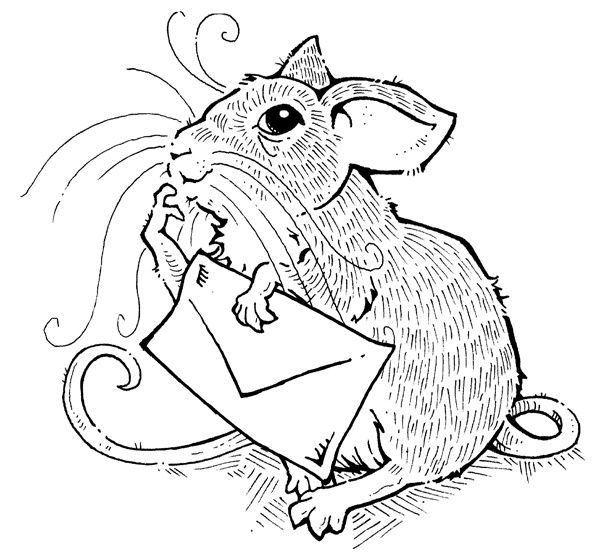 One of the best things about being the chronicler of Kendra Kandlestar is receiving Een-mail from my young readers. I recently received some questions that I thought I would share, along with my answers, all to do with the Een calendar! Here they are . . .
Q: When is Kendra’s birthday? A: Though the exact date is never mentioned in the books, Kendra’s birthday is September 7th. In the third book in the series, The Shard from Greeve, it’s told that Kendra has just turned twelve, and that it is late summer, when Uncle Griffinskitch takes Kendra to the great tree of Een to procure a wand for her. Twelve is an important age for Eens, as it is the time they finish school and can be taken as an apprentice—Uncle Griffinskitch, of course, has decided to start instructing Kendra in the ways of Een magic. Q: Is a year shorter for Eens? If so, do Eens have a different calendar? A: The Een calendar is like ours, with the important dates being the changes of the seasons. They celebrate Jamboreen on the longest day of the year (the summer solstice) and Ald Meryn’s Eve on the shortest day of the year (the winter solstice). Q: Can you send me an Een calendar? No Een calendar exists (yet!). This would be a fun project though, that’s for sure! Well, these questions remind me just how much detail needs to go into constructing a world! Even though so many details (like Kendra’s birthday, her favourite food, and first word) never make it into the text, they are things that I need to know if I’m to skillfully deliver the stories of Een! Keep those Een-mails coming . . .